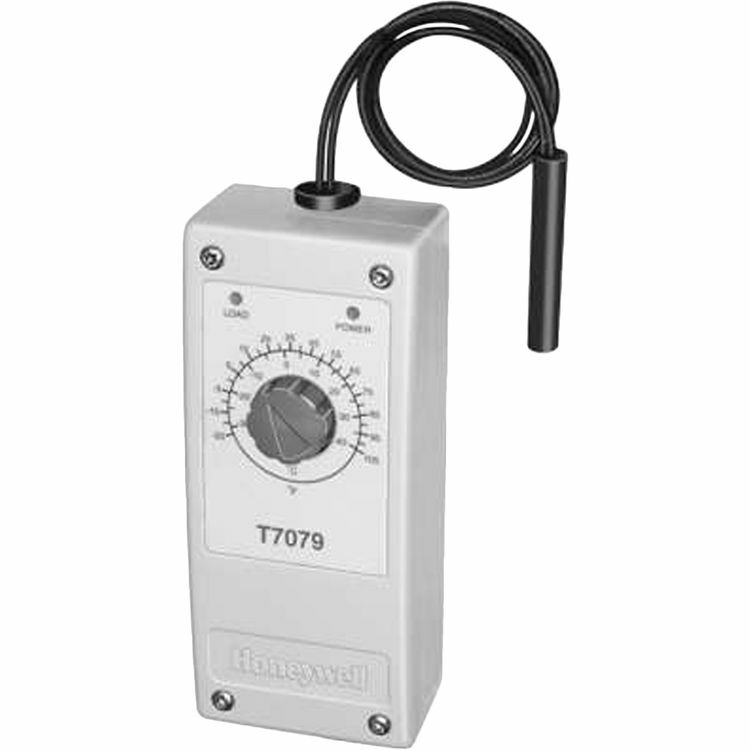 Honeywell T7079B1051/U Remote Sensor Temperature Controller. The T7079 Electronic Remote Sensor Temperature Controllers provide on-off temperature control for ducts, tanks, heating and refrigeration units, greenhouses, animal confinement buildings and uses where electronic accuracy and remote sensing is desired. 4 wire Power Track operators with auxiliary switch, 10-12 sec. to open.